This is an event planner’s worst nightmare story. It’s a good example of why booking speakers is so angst-ridden for people who plan meetings and conferences. Speakers can be the great unknown; a black box where you haven’t a clue what’s inside until you open it up and the speaker steps on stage. In this tale, in spite of the best efforts to prepare, things can go horribly, horribly wrong and embarrass everyone in the organization, let alone make the audience very uncomfortable. This story took place during my agenting days and stars a very prominent U.S. Senator who, upon retiring, started to speak. I actually booked him for one of his very first appearances - to be keynote speaker for a conference in San Francisco. First Came Tips from Top Speakers Recently, I posted blogs with advice from top speakers on how to assure success when you book speakers for your program. After all, who better to offer solid tips than the people who actually take the stage and hope to engage the audience? Here are links: Part 1 – the Venue Part 2 - Pre-Event Tips These blogs got some really nice attention from people in the event planning world. 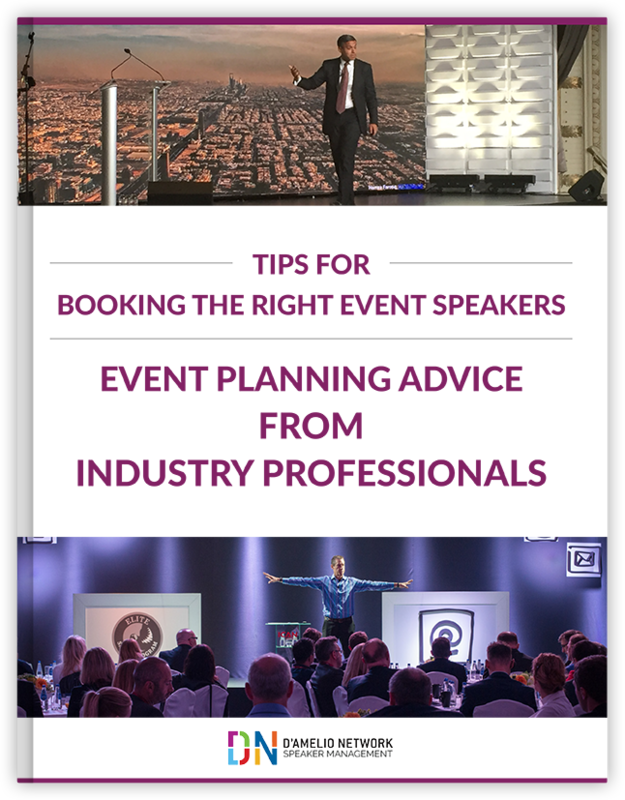 It seemed like a natural extension of this effort to ask top event planners for their advice on booking speakers. THE EVENT PLANNER'S DILEMMA How comfortable are you putting political speakers on your conference or event agenda? If the answer is, “Not very,” you probably know you’re not alone. With valuable relationships in the room, being sensitive to the potential danger of offending attendees just makes sense. Many event planners are wary about booking political speakers and talking politics in the current political climate. On the heels of the most contentious election in my lifetime – one that saw families and close friendships torn apart – is it any wonder there’s apprehension about going down the path of talking politics at meetings and events? You undoubtedly have an event planning checklist that you’ve refined/perfected over the years. Here’s a chance to perhaps refine it further. YOUR EVENT PLANNING CHECKLIST: DOES YOUR ROOM SET-UP HELP SPEAKERS SUCCEED? POPULAR BUSINESS SPEAKERS - DN EXPERTS IN THE NEWS DN has popular business speakers for events. Many have been in the news in the past week. Please see the updates below.